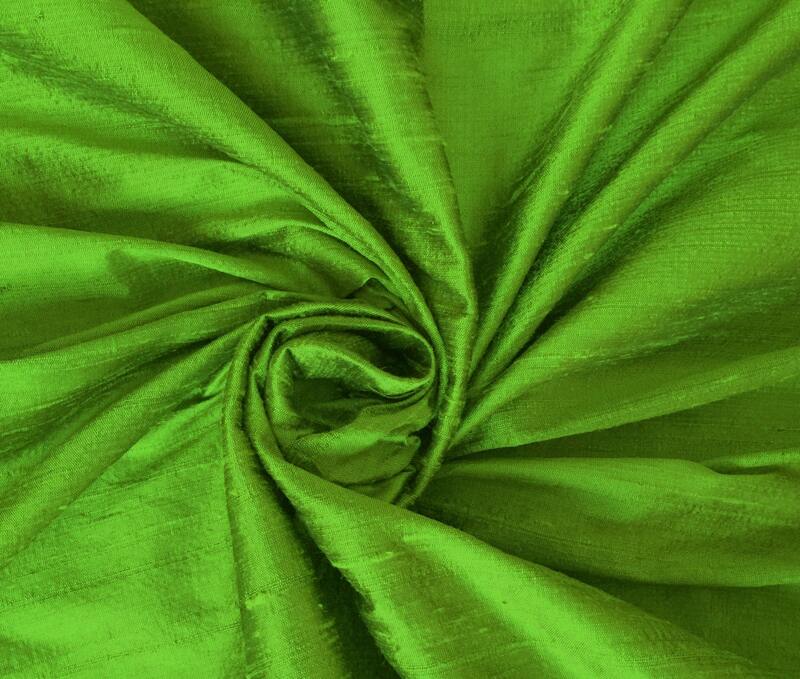 Parrot Green dupioni silk fabric. Brand New High-End Dupioni Silk Fabric Yardage. 45 inches wide. This has a subtle iridescence with parrot green warp and black weft. The fabric is fantastic quality and exactly as described and pictured. Thank you!